I had, whilst more N9 rumours surfaced, an email two weeks ago about Nokia using a diamond like coating on their devices. This would provide super slim yet super strong protection for Nokia handsets. I didn’t get around to posting it at the time. Today at Nokia Conversations, they have a post called “Graphene – Nokia’s future super-material”..
Graphene is an allotrope of carbon and its 2D structure measures just one atom thick. While being thin, it’s the strongest material ever tested, having a breaking strength 200 times greater than steel and is also the lightest material ever, best intrinsic conductor and super-flexible, too. It’s predicted to replace silicon as the base for all electronics. What’s not to get excited about here? Here’s a post from the BBC asking if Graphene is a miracle material. 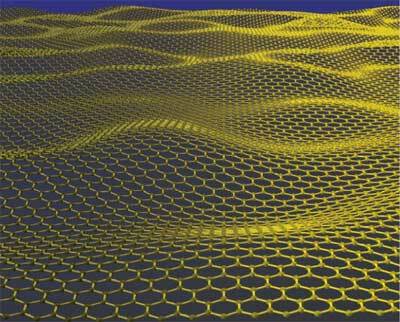 Look what the potential of Graphene could be in that video – does it look familiar? Why that’s the Nokia Morph concept. Together with nine other partners including 4 Nobel Laureates, as well as leading European experts in Graphene from University of Manchester (woohoo! ), Chalmers University of Technology, University of Lancaster, University of Cambridge, AMO Gmbh, the Catalan institute of Nanotechnology, Italian Research Council and European Science foundation, Nokia is working on a future changing material and with this initiative work to bring it to market. Not just mobile phones, but other technology, e.g. a rollable TV. We’re really excited to learn that Nokia is trying to bring this technology to the masses, and not only disrupt the future of mobile phones, but for everybody else too. That’s true innovation. Are you as excited as we are? Cheers to anonymous/”uumNo…” for the tip! btw, here’s the email from janimatik on diamond like coating. So I’m talking about Diamond Like Coating (DLC). Some years ago Nokia patented a technology that has to do with DLC. Basic idea of Nokia’s patent is to coat normal “cheap” plastic (coating process can be done in room temperature) with Diamond Like Coating. I think the ability to coat plastic is the difference between normal DLC and Nokias patented DLC. – Extremely tough coating -> no scratches. – Very smooth and slip to touch surface -> suitable for touchscreens. – Anti static -> wont attract dirt -> good for touchscreens. What this could mean if true? – Replacing Gorilla glass with DLC Polycarbonate? -> DLC PC would be lighter, cheaper and I assume thinner (thickness of gorilla glass often more than 1mm). – Surface of device looks good even after many years -> I guess people from developed countries would appreciate this one. They don’t buy a new one every year. – Coating material is cheap -> Good looking and durable DLC coating in cheap phones (“developed country phones”) could make a difference between Nokia and Chinese/Indian manufacturers. Althought total sales could drop because phone would be more durable. – I think there’s also many other applications where this coating could be used. TVs, laptops etc.